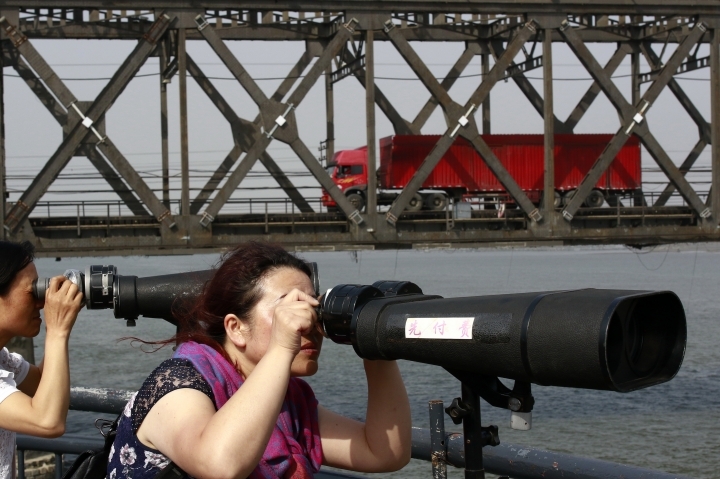 BEIJING — China's imports from North Korea plunged 92.6 percent in June compared with a year earlier under U.N. sanctions imposed to stop Pyongyang's nuclear and missile programs, the customs agency said Friday. Exports of Chinese oil and other goods to the North fell 40.6 percent, a customs agency spokesman, Huang Songping, said at a news conference. He gave no financial totals. 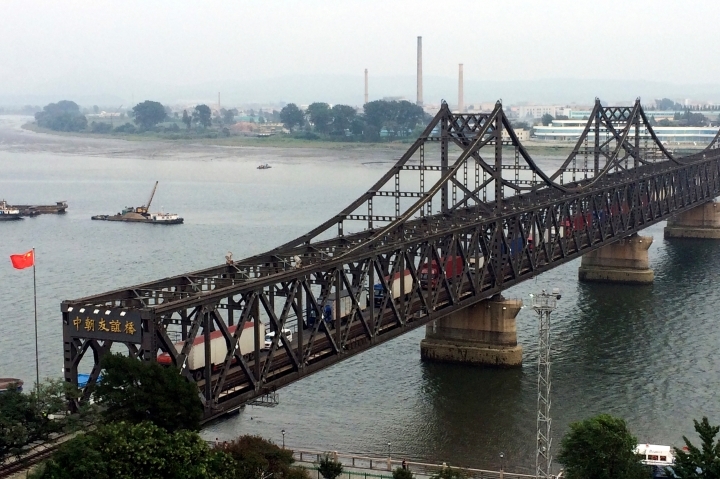 The trade curbs have remained in place despite diplomatic contacts including U.S. President Donald Trump's June meeting with North Korean leader Kim Jong Un. American Secretary of State Mike Pompeo, who visited Pyongyang this month, said sanctions wouldn't be lifted until Kim follows through on his pledge to scrap its nuclear weapons. China provides nearly all of the isolated North's trade and energy supplies. 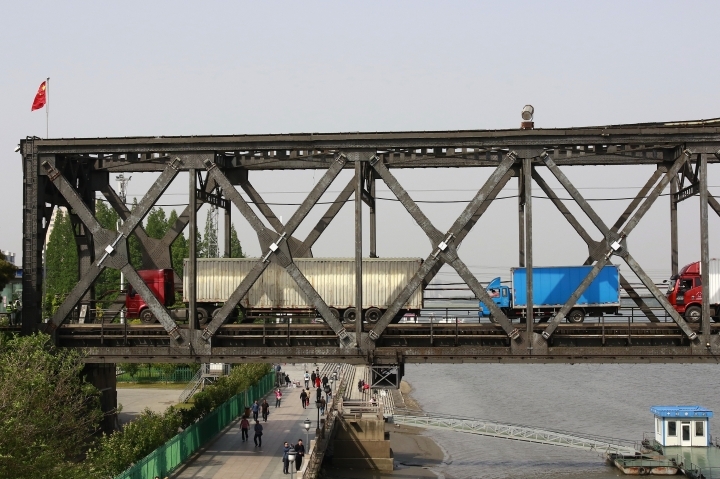 Beijing has imposed limits on oil exports and sharply reduced North Korean revenue by banning purchases of its textiles, seafood and coal. Beijing was long Pyongyang's diplomatic protector but has supported the U.N. sanctions out of frustration at what Chinese leaders see as their neighbor's increasingly reckless behavior. Beijing also ordered North Korean-owned restaurants and other businesses in China, an important revenue source, to close. In the first six months of the year, Chinese imports fell 88.7 percent from the same period of 2017 to 690 million yuan ($103 million), according to Huang. Exports declined 43.1 percent to 6.4 billion yuan ($960 million). Huang said Chinese exports to the North have declined for 11 straight months, while imports have declined for 10 months. Beijing has "consistently implemented" the U.N. trade curbs, Huang said. Also Friday, a deputy Chinese foreign minister sounded a reassuring note about North Korea after Trump complained Beijing might be disrupting diplomatic efforts due to its trade dispute with Washington. The official, Kong Xuanyou, said there has been "positive momentum" and Beijing is in "close coordination" with Washington. "We will stay in touch with the United States through various channels in a joint effort to uphold peace and stability on the peninsula to facilitate the political settlement of the Korean issue," Kong said. If the governments involved "candid discussions as equals," then "all the questions will find the right answers," he said.